What caused the Civil War? States Rights? Slavery? Secession and Civil War caused more deaths than all other previous US wars combined. Regarding what caused the Civil War (also called Civil War Causes), the President of the United States—as commander-in-chief and chief executive—declared that the sole cause of the Civil War was secession. Lincoln chose war to suppress what he deemed a rebellion in the Southern states. If the South embraced and espoused slavery and if the South stated that the institution, alone, justified war, it was ultimately the President of the United States, possessing absolute responsibility and duty as chief executive for the nation, who, to the contrary, declared war on the South because of secession. As President, Lincoln declared that the South was guilty only of rebellion, and, without the consent of Congress and contrary to pleas from the Supreme Court, Lincoln raised an army and subsequently invaded the Southern states. Moreover, the decision to declare war or to suppress a rebellion, and to state what caused the Civil War, was proclaimed by President Abraham Lincoln himself; and he stated his position for war clearly. What caused the Civil War? Or, what were the causes of the Civil War? Secession. Prior to April 15, 1861, seven Southern states, South Carolina, Georgia, Alabama, Florida, Mississippi, Louisiana and Texas, had seceded from the Union. On April 15, 1861, Lincoln stated in his Call For Troops that the only cause of the Civil War was secession in the Southern states, and that troops were being called upon in order to "suppress the rebellion" and force the states back into the Union. Just 2 days after Lincoln's Call for Troops to raise an army and invade the South, Virginia seceded (April 17), followed by Arkansas, North Carolina and Tennessee. Kentucky, meanwhile, refused to recruit a single soldier for Lincoln's "wicked cause," and Maryland, a free state, was invaded by U.S. troops and placed under martial law, while Delaware, though of divided loyalty, did not attempt it. In Missouri, on October 31, 1861, a pro-CSA remnant of the General Assembly met and passed an ordinance of secession. Lincoln, moreover, never stated publicly or in any document that abolishing the institution of slavery was why he called upon the troops, or to free the slaves was the cause of the Civil War. The Southern states had seceded, and Lincoln was now determined to suppress it. According to the president, secession was the cause of the Civil War. "The First, Second, Ninth, and Tenth amendments [Constitution] and States' Rights have been unlawfully trampled upon by the federal government since the early days of the republic...The Civil War was not principally about slavery, and Abraham Lincoln was no friend to the slaves." Professor Thomas E. Woods, Jr., author of The Politically Incorrect Guide to American History . Thomas E Woods, Jr. holds an AB from Harvard and a Ph.D. from Columbia. He teaches American History, is the associate editor of The Latin Mass Magazine, and is a prolific essayist on historical subjects. He lives with his family in Coram, New York. 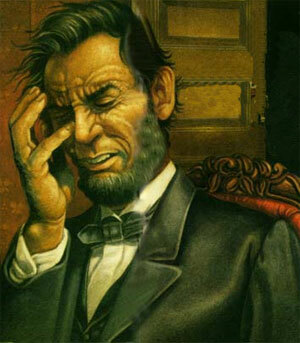 Was President Lincoln Guilty of the Following Criminal Acts? Violation of the Constitution and his oath of office by invading and waging war against states that had legally and democratically withdrawn their consent from his government, inaugurating one of the cruelest wars in recent history. Subverting the duly constituted governments of states that had not left the Union, thereby subverting their constitution right to "republican form of government." Raising troops without the approval of Congress and expending funds without appropriation. Suspending the writ of habeas corpus and interfering with the press without due process, imprisoning thousands of citizens without charge or trial, and closing courts by military force where no hostilities were occurring. Corrupting the currency by manipulations and paper swindles unheard of in U.S. history. Fraud and corruption by appointees and contractors with his knowledge and connivance. Continuing the war by raising ever-larger bodies of troops by conscription and hiring of foreign mercenaries and refusing to negotiate in good faith for an end to hostilities. Confiscation of millions of dollars of civilian property by his agents in the South, especially cotton, without legal proceedings. Waging war against women, children, civilians and civilian property as the matter of policy (rather than as unavoidably incident to combat), e.g., Sherman's March. Cherokee Nation Secede from the Union! I am sick and tired of that Constitution! For a long time the Cherokee Nation remained neutral regarding the pending American Civil War. Other than the neutral Cherokee Nation, perhaps no people, no historian, no Pulitzer Prize winning author, no politician, and no college professor can better explain, without bias, what caused the American Civil War. As you read excerpts from the Cherokee Declaration below, consider the following questions: What did the Cherokee Nation witness, state, and declare as to what caused the Civil War? Why did the Cherokee Nation finally secede from the Union and align itself with the Confederacy? Did the Cherokee Nation side with the South because of the institution of slavery or because of slaves? What caused the Cherokee Indians to sever all ties with the United States, join the Southern States, and then declare war against the United States? What great and egregious cause or causes did the Cherokee Nation experience and witness that caused it to make such a monumental Declaration? Did the neutral Cherokee Nation state that slavery was the cause of the conflict? Disclaiming any intention to invade the Northern States, the Southern States sought only to repel invaders from their own soil and to secure the right of governing themselves. They claimed only the privilege asserted by the Declaration of American Independence, and on which the right of the Northern States themselves to self-government is founded, of altering their form of government when it became no longer tolerable and establishing new forms for the security of their liberties. Tahlequah, Cherokee Nation, October 28, 1861. 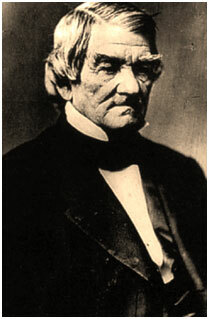 (Right) Cherokee John Ross was actually 1/8th Cherokee and 7/8th Scot. Cherokee Indians and Civil War Causes: States Rights & Secession. Secession, Civil War Powers, Separation of Powers, Constitution: What Caused the Civil War? DiLorenzo holds Lincoln and his war responsible for the triumph of "big government" and the birth of the ubiquitous, suffocating modern U.S. state. He seeks to replace the nation’s memory of Lincoln as the “Great Emancipator” with the record of Lincoln as the “Great Centralizer.” Big government is contrary to the Founding Fathers - and this captivating, readable book does a wonderful job in bringing historical context and precedence to support DiLorenzo's scholarly positions. Outstanding addition to any Civil War buff's library, public school library, and anyone that has read or owns any of the 14,000 Lincoln biographies in circulation. Pro-Lincoln and pro-North lovers will most likely disagree with most, if not all, of DiLorenzo's work. They will disagree because they have already made-up their minds about Father Abe (aka Honest Abe) and what caused the Civil War. After all, isn't it easy to just say that slavery caused everything? FDR's New Deal policies actually made the Depression worse. He also covers a wide range of constitutional interpretations over the years, particularly regarding the First, Second, Ninth, and Tenth amendments, and continually makes the point that states' rights have been unlawfully trampled upon by the federal government since the early days of the republic. Though its title is more deliberately provocative than accurate, Woods' attack on what he sees as rampant liberal revisionism over the past 25 years proves to be an interesting platform for a book. He's as biased as those he rails against, of course, but he does provoke thought in an entertaining way even if he sometimes tries to pass off opinion as hard facts. This quick and enjoyable read is packed with unfamiliar quotes, informative sidebars, iconoclastic viewpoints, and a list of books "you're not supposed to read." It is not a comprehensive or detailed study, but that is not its aim; instead, it offers ideas for further research and a challenge to readers to dig deeper and analyze some basic assumptions about American history--a worthy goal that Woods manages to reach. From the Inside Flap: Everything well, almost everything you know about American history is wrong because most textbooks and popular history books are written by left-wing academic historians who treat their biases as fact. But fear not: Professor Thomas Woods refutes the popular myths in The Politically Incorrect Guide to American History. Professor Woods reveals facts that you won't be or never were taught in school, tells you about the "Books You're Not Supposed to Read," and takes you on a fast-paced politically incorrect tour of American history that will give you all the information you need to battle and confound left-wing professors, neighbors, and friends. About the Author: Professor Thomas E. Woods Jr. holds an AB from Harvard and a Ph.D. from Columbia. He teaches American History, is the associate editor of The Latin Mass Magazine, and is a prolific essayist on historical subjects. He lives with his family in Coram, New York.